Nashville Flight Training’s team won 1ST PLACE in last year’s Air Race Class – our first time to compete. This year, we’re offering a unique opportunity for companies, organizations and individuals to sponsor our 2019 team. So get ready to fly with us! What Is the Air Race Classic? More than 100 women pilots will take off on the adventure of a lifetime when the flag drops to mark the start of the 43rd annual Air Race Classic, an annual all-female aviation event stretching 2,500 miles across 11 states and provinces, June 18 – 21. The race begins in Jackson, Tenn., and ends in Welland, Ontario. Why Sponsor Nashville Flight Training’s Team? 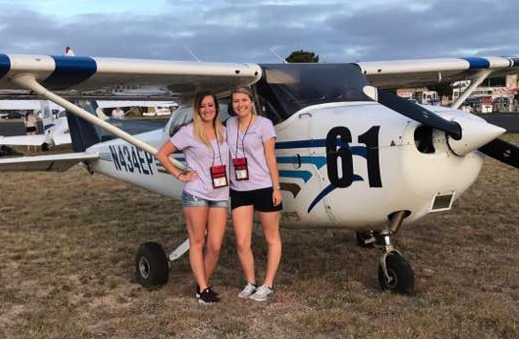 Last year our team (Mariah and Paige, right) flew a Cessna 172R to a 1ST PLACE victory! Sponsorship provides exposure to an audience of wide-ranging demographics and interests, most of whom are high-income earners. Publicity and media attention surrounding our team’s win helped raise awareness and brand recognition for both our flight school and those who supported us. See below for more details on sponsorship levels and benefits. For more information, or to sponsor Nashville Flight Training’s Air Race Classic team, email jeffk@NashvilleFlightTraining.com or call (615) 478-0267. NFT supports the Air Race Classic because it is an all-volunteer, nonprofit 501(c)(3) organization with a mission of encouraging and educating current and future female pilots, increasing public awareness of general aviation, demonstrating women’s roles in aviation, and preserving and promoting the tradition of pioneering women in aviation. The race traces its roots to the 1929 Women’s Air Derby, in which Amelia Earhart and 19 other daring female pilots raced from Santa Monica, Calif., to Cleveland, Ohio. That contest, aka the Powder Puff Derby, marked the beginning of women’s air racing in the United States. 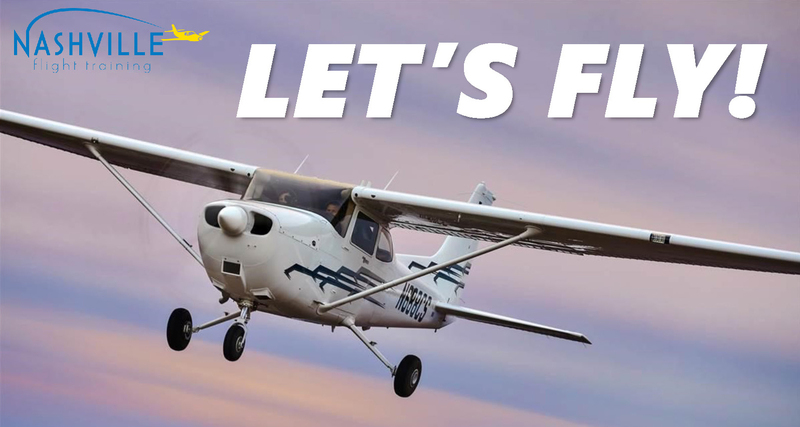 Established in 2010, Nashville Flight Training provides affordable flight instruction from award winning, FAA-certified instructors and offers state-of-the-art equipment. The flight training facility is based at the Nashville International Airport.